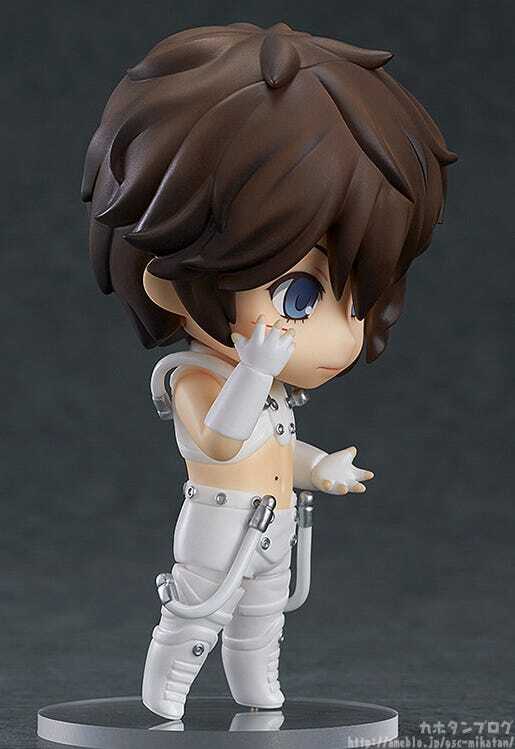 Today I’ll be taking a look at a Nendoroid who was announced a little while back, but is now available at the GOODSMILE ONLINE SHOP! 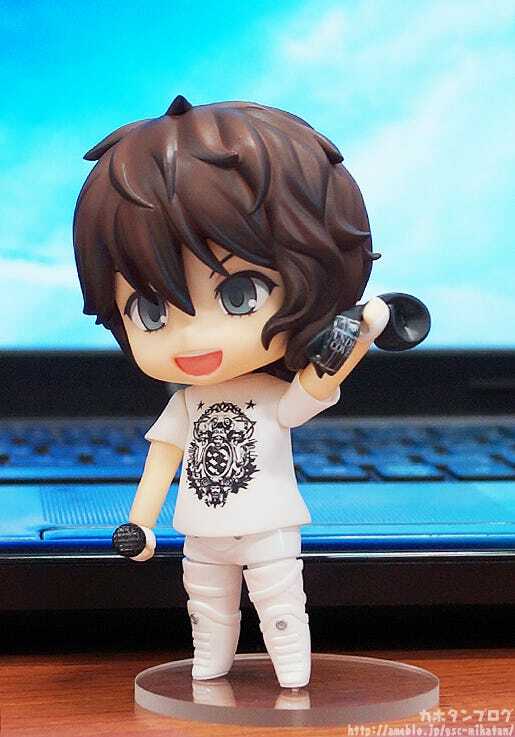 The popular music artist ‘T.M. 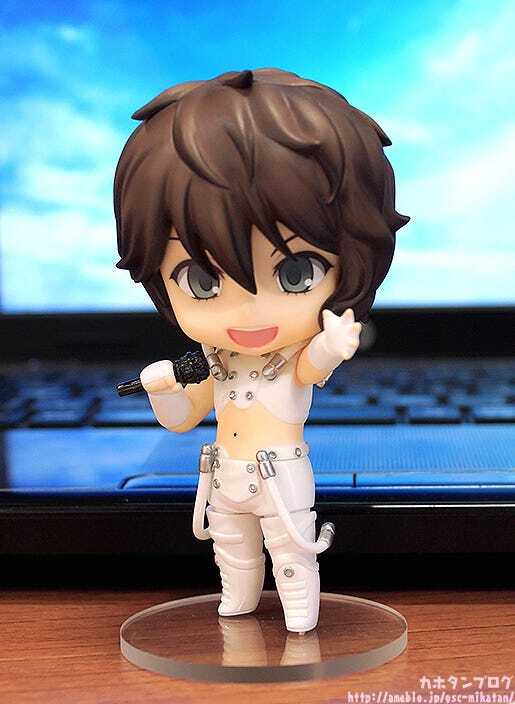 Revolution’ is joining the Nendoroid series wearing the stage outfit seen during his live tour ‘T.M.R. 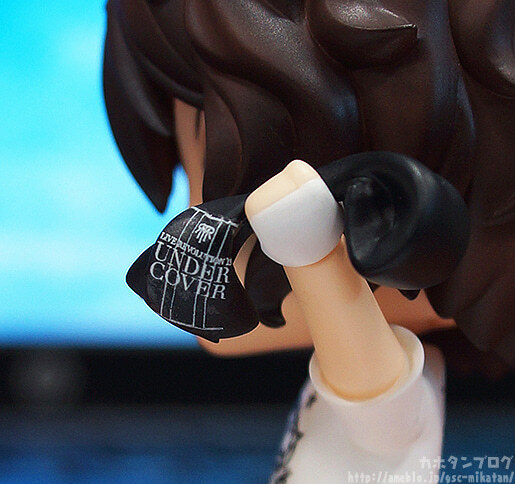 LIVE REVOLUTION’13 -UNDER：COVER 2-‘. 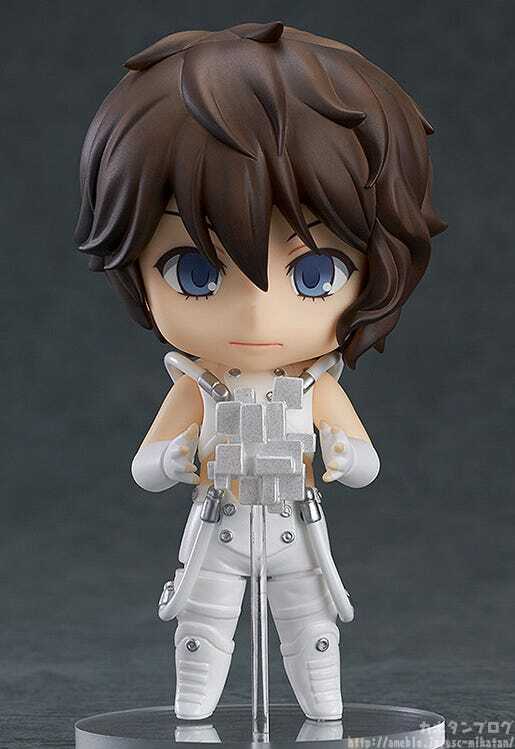 The Nendoroid also includes the ‘CLOUD’ seen in his ‘Preserved Roses’ music video, along with a sticker allowing you to recreate the important cut on his cheek seen in the music video! Various other optional parts such as a mike stand, tour T-shirt and towel are all also included to recreate one of his live performances! 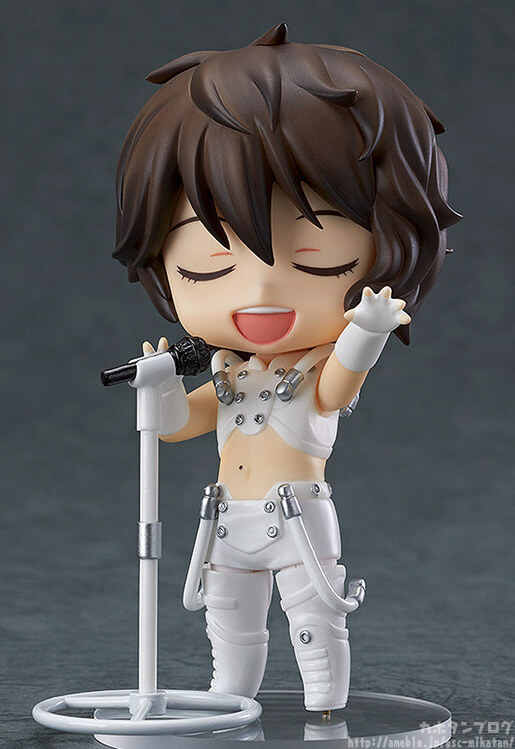 You can choose to pose him in the cool poses from the music video, or instead have him performing for you live on stage! 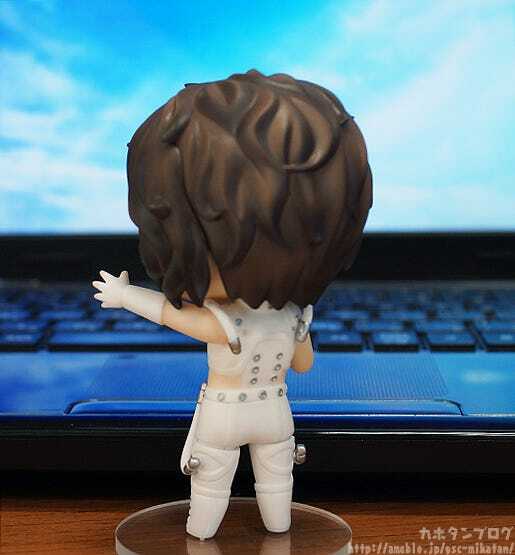 His soft looking curly hair has been transformed into Nendoroid size beautifully, and even the reverse side of the figure is amazingly detailed! 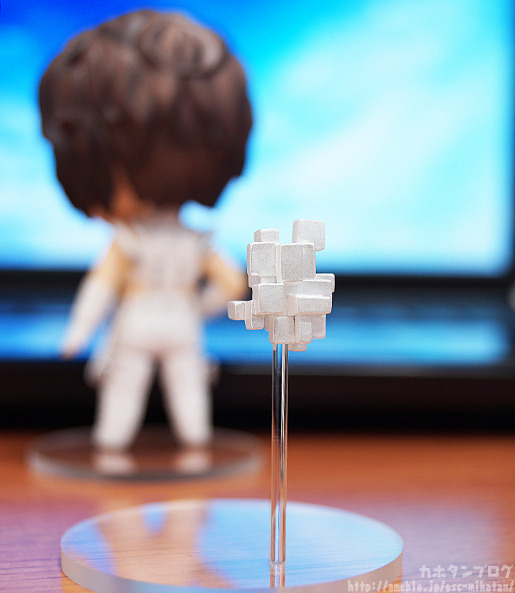 The head planner for this figure has come to join us! Kyojin! I believe that your home town is the same as Nishikawa-kun’s! Is that right? 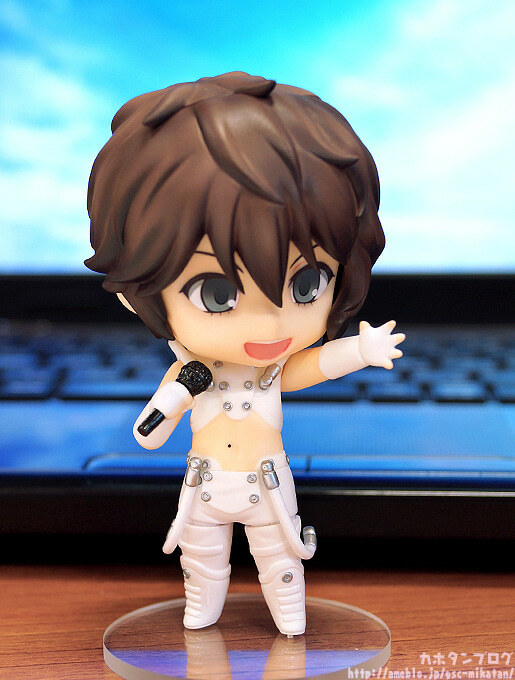 But let’s get back to talking about the figure… what are your best parts? 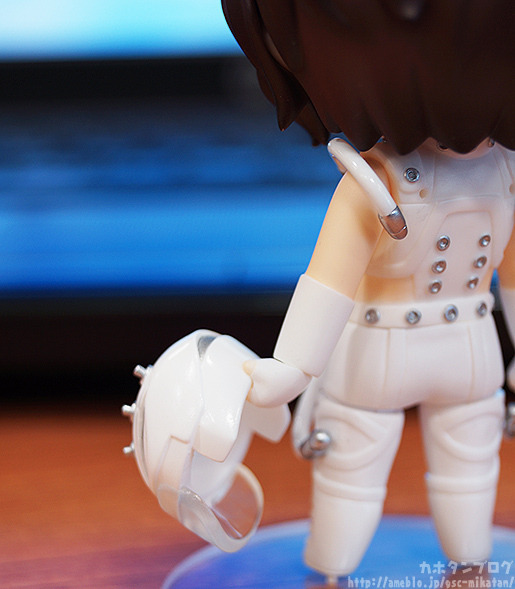 (・∀・) “We paid special attention to his lower eyelashes and even his mole! They’re important! But the detail on his outfit and accessories also had a lot of focus put into them! It really looks like he just jumped out of the ‘Preserved Roses’ music video! Zooming up close you can really see the details! Or the scene where he leans against the wall! Or even the running scene! Not to mention how amazing Nana-sama looks with either the black or silver hair!! The silver hair style also gave her such a fresh appearance! ♥ The overall futuristic feeling of the video was also such a thrill to watch… be sure to take a look if you haven’t seen it!! 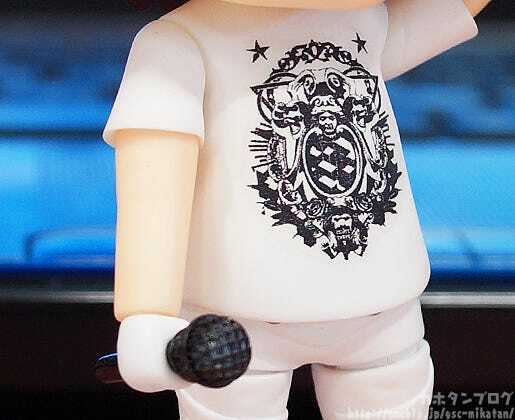 Such detail is visible on the design of the shirt! Another fan item, the T.M.Revolution towel is also included! What! Did I lose them?! Where are they?! The head of manufacturing for Nishikawa-kun: Miumi! (｀・ω・) “Prototypes are often needed by the manufacturing or planning teams, or might be on display at events… making them nearly impossible to get hold of! The fight for the prototypes… I think I’ve already lost this time around though…! Next time I’ll get hold of everything well before hand!! For today I’ll have to just use the official photos! On closer inspection you’ll notice his eyes are a different color. This expression is less cute and more beautiful!♡ A sticker to recreate the scene where his cheek is cut is also included. I want to listen to T.M.R songs while staring at this pose!! 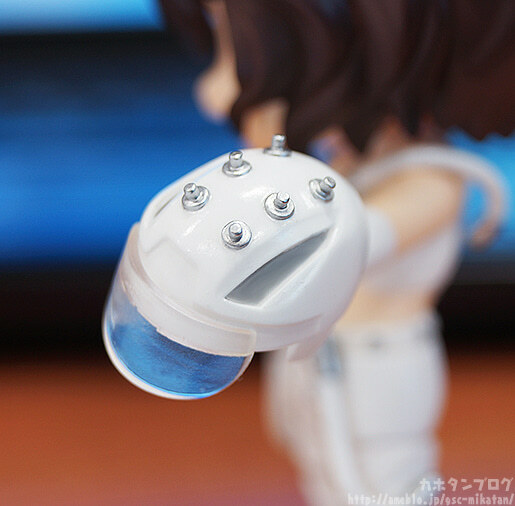 Available from the GOODSMILE ONLINE SHOP from today! 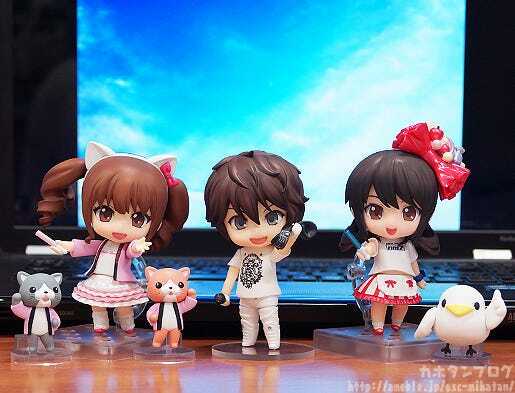 I just had to grab a photo of all the music artist Nendoroids together! Don’t they look great! Tomorrow the 26th September at 20:00JST we will be having a live broadcast on the NicoNico Good Smile Channel! This is the first live broadcast so I’m a little unsure of my own character and how well I’ll be able to MC…. but I hope you’ll tune in to see what we get up to! 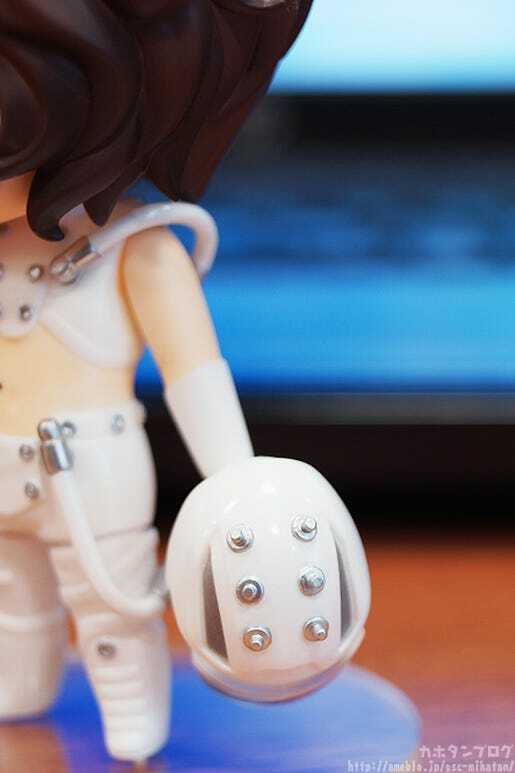 We’ll be taking a closer look at September’s figures and maybe some other upcoming goodies! I hope to see you there!